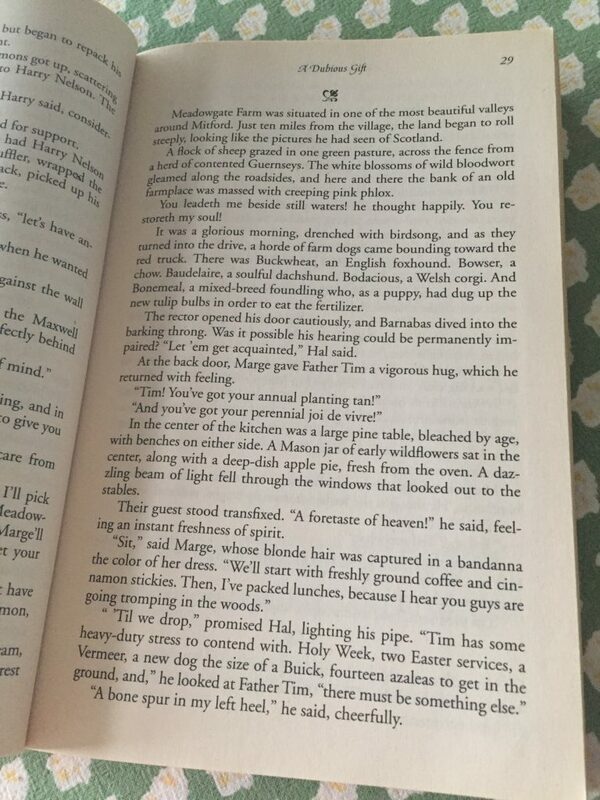 How is it possible that a book written by someone I have never met can hold such a large influence over my life? I have so many, many books that I love and could recommend but I must start here. This is the top. The very best series I have ever read. 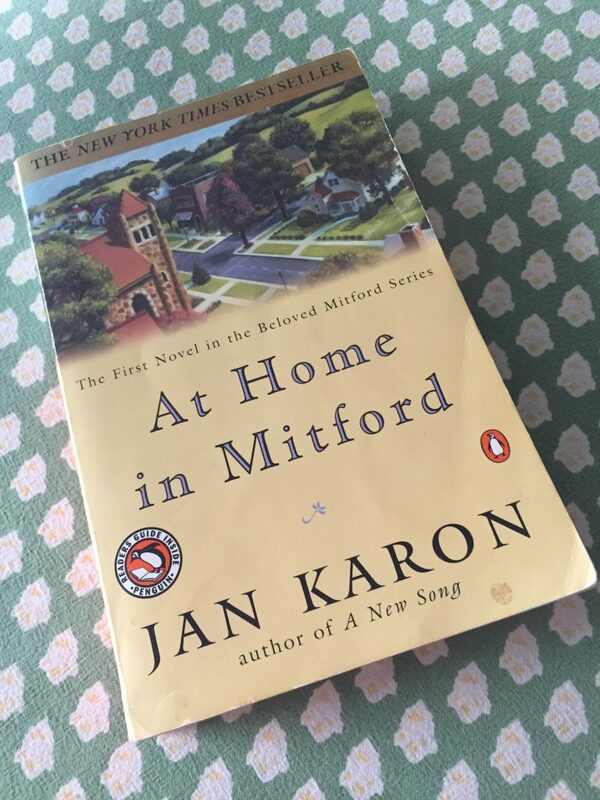 At Home in Mitford is the first book in the series written by Jan Karon. She lived in western North Carolina while writing this series. 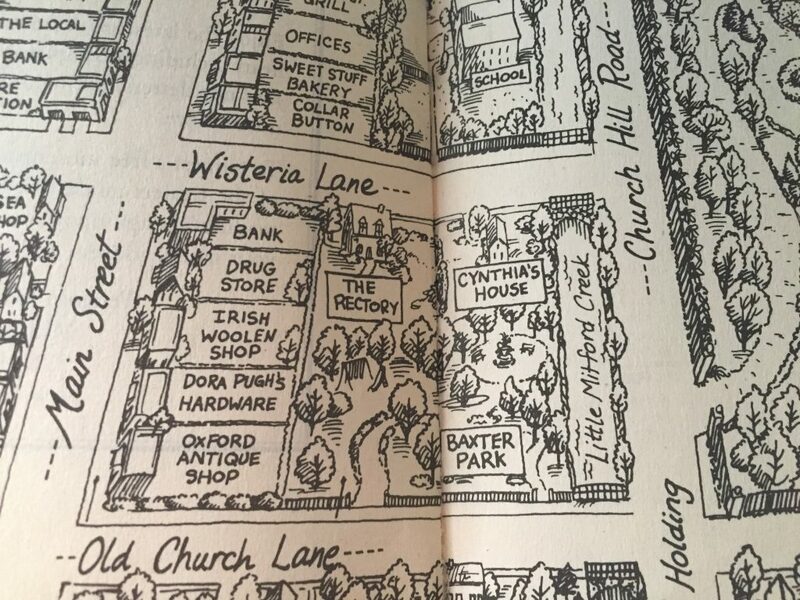 It is based on a small town priest and those he meets and cares for in the town of Mitford. I love this book so much I have multiple copies. This enables me to loan them out immediately to anyone (!) 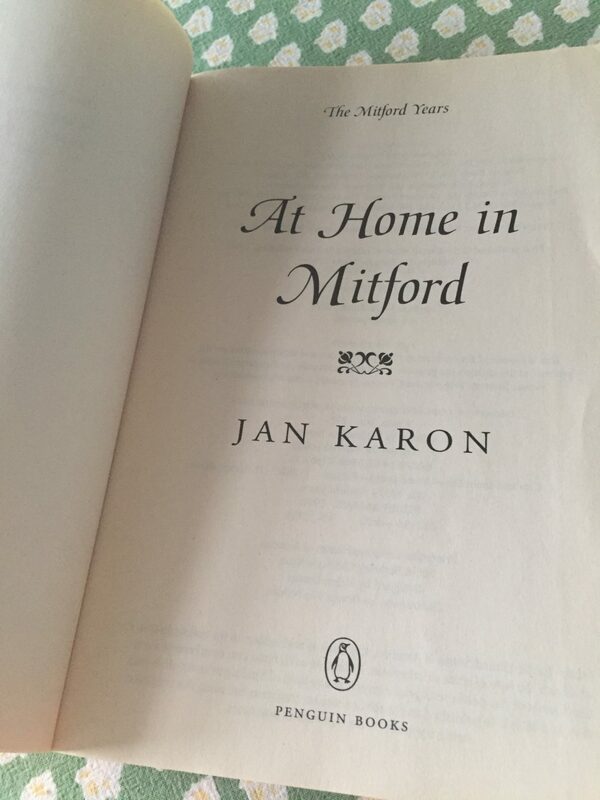 who has not heard of Mitford. I love the characters and hate to even call them characters. They feel real to me, like long lost relatives. Long before the last book, I was prepared to move to Mitford and love these people like my second family. Alas, Mitford exists only in the books and in the reader’s heart. There will be tears and laughter as these new, dear friends navigate life with help from above and friends, who love and hope and continue to fight for what matters. “The rector raised up from his seat in the booth and looked through the front window. Yes, indeed. He saw the creature, staring soulfully into the Grill. He couldn’t help thinking that it was oddly flattering to have someone waiting for him, even if it was a dog. Emma had said for years that he needed a dog or a cat, or even a bird. But no, not once had he ever considered such a thing. The rector discreetly put a piece of buttered toast in a napkin and slipped it into his pocket. “Let’s wait on that, Percy”, he said, walking to the door. I hope that gives you a little flavor of Mitford. If you like books about real life, small towns and finding joy in the ordinary, these are the books for you.